Clinic Synopsis: Successful percussion pedagogy depends on a sequential course of study that introduces students to fundamental musical and technical concepts in a logical order. A thorough percussion curriculum should emphasize methods and materials that reinforce fundamental concepts of percussion performance. This clinic will cover the most important components of a comprehensive percussion curriculum from organization and equipment to instructional methods and materials. 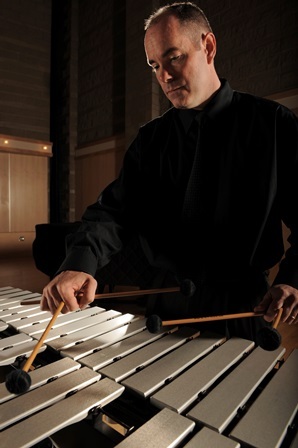 Clinician Biographical Information Patrick Roulet is the director of percussion studies at Towson University where he teaches percussion and directs the Towson University Percussion Ensemble. As a freelance percussionist in Seattle for over ten years, he performed regularly with the Seattle Symphony and Seattle Opera Orchestras, the Pacific Northwest Ballet Orchestra, and the Pacific Rims Percussion Quartet. His recent recording project of the early percussion music of Michael Colgrass was released in 2012 on the Equilibrium label. His articles have been published in Percussive Notes, the official journal of the Percussive Arts Society He received degrees in percussion performance from the University of Washington, Boston University, and the University of Michigan. As a Yamaha Performing Artist, Roulet continues to inspire students of all levels through clinics and masterclasses throughout the United States.